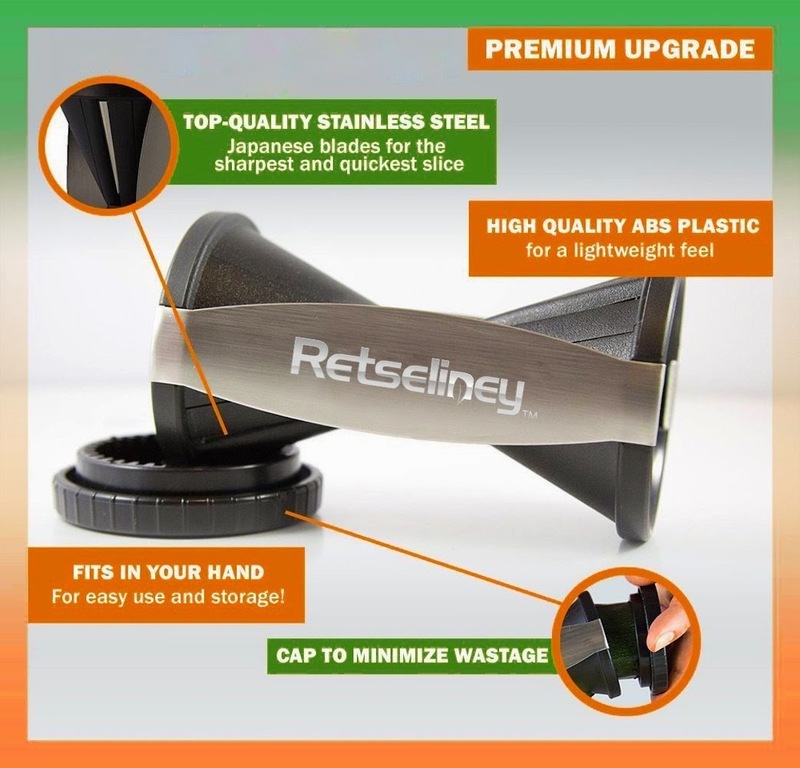 Discover How to Feel HEALTHY and FIT with Retseliney Spiral Slicer ! The Complete Spiralizer Bundle allows you to get maximum results immediately so that HEALTHY MEALS will never look unattractive again! REPLACE REGULAR PASTA with vegetable noodles or spaghetti and get your family and friends to CRAVE FOR HEALTHY FOOD ! 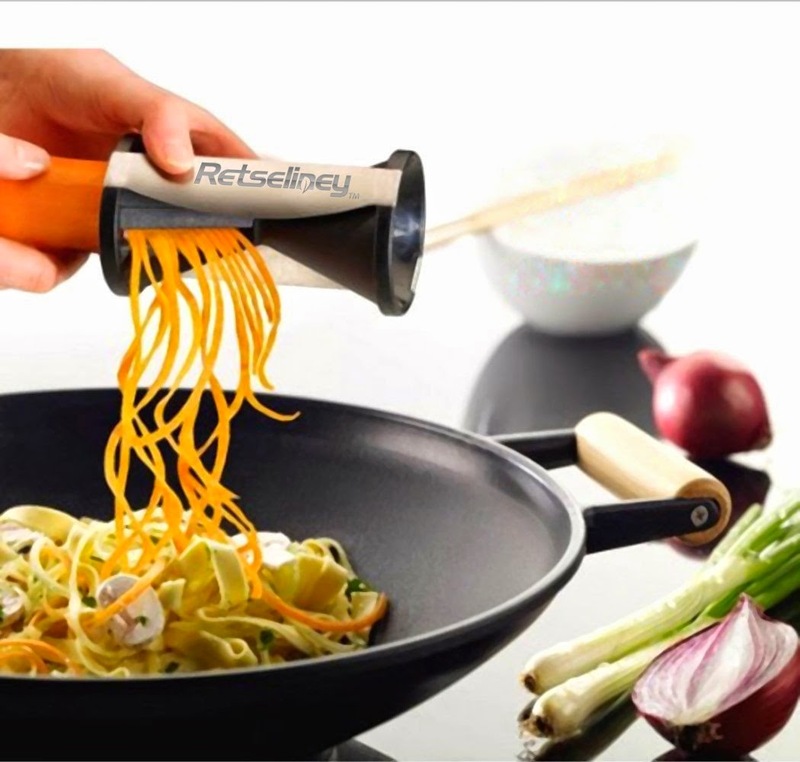 SAVE TIME with Retseliney Spiral Vegetable Slicer and prepare mouth-watering meals in minutes ! Buy and Save Today ONLY! 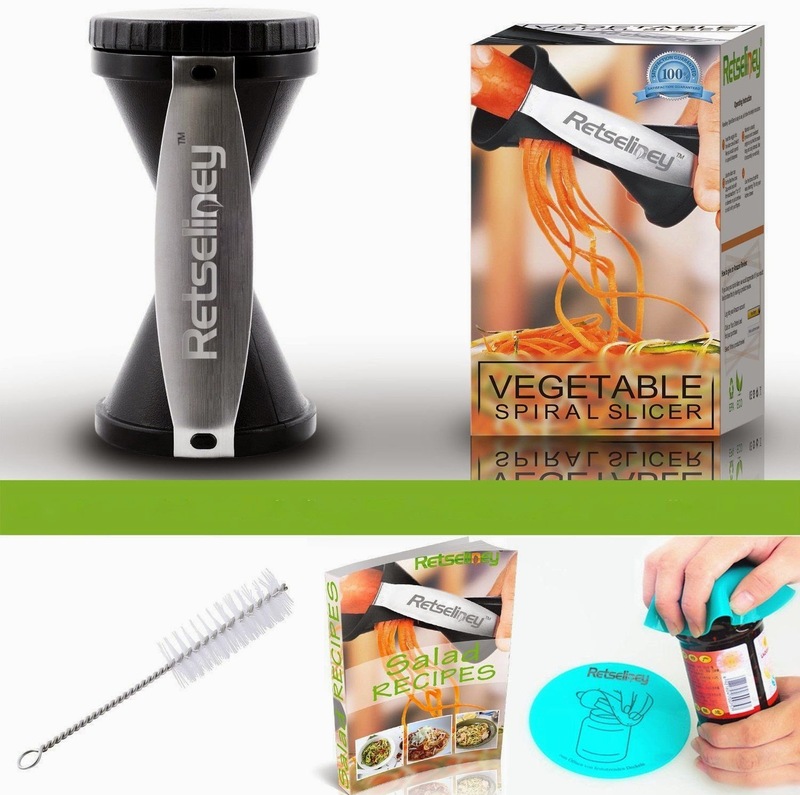 Best Value: Retseliney Premium Durable Slicer Bundle, FREE BONUSES, Includes a Recipe Book, Jar Opener and a Cleaning Brush, Valued at $39.99. Limited Stock! Enjoy the Great Benefits this Product Delivers, Turn Veggies into Healthy Spaghetti, perfect Succulent Pasta without the Carbs. Create Noodles and Julienne Spirals from a Great Variety of vegetables: Carrots, Zucchini, Cucumbers, Squash, Radish, Sweet and Regular Potato. 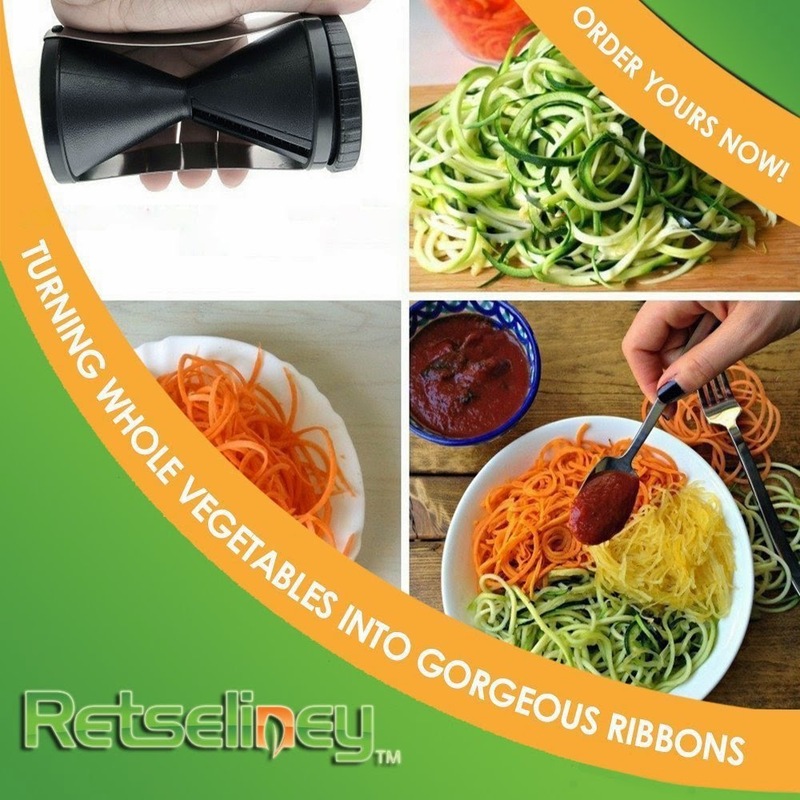 2 Julienne Sizes: 1/16" x 3/32" and 1/8" x 3/16"
I have always wanted to try this type of spiral veggie maker so I was so excited to get to try Retseliney Premium Spiralizer Bundle. It came with a jar opener and a cleaning brush to get in between the blades to remove any remaining peels. It also comes with a cap that has spikes in it to hold on to the last bit of the veg so your hands don't get close to the sharp blades. I think I need practice with that part because I could not get it to work, maybe it was the potato being soft. I am not sure. I was able to spiral most of the potato in very long strands. It made really nice spiral fries like the ones my girls love to buy when the fair comes to town. I am looking forward to making healthy "pasta" spirals from different types of veggies to replace some traditional pasta dishes as well as fresh veggies in cold salads. What a nice way to make eating healthy more fun and creative. And yes, you can even make curly fries for a treat now and again! When I first got the Premium Spiralizer Bundle the only veg I had was potatoes so I decided to try it right away and make some curly fries! 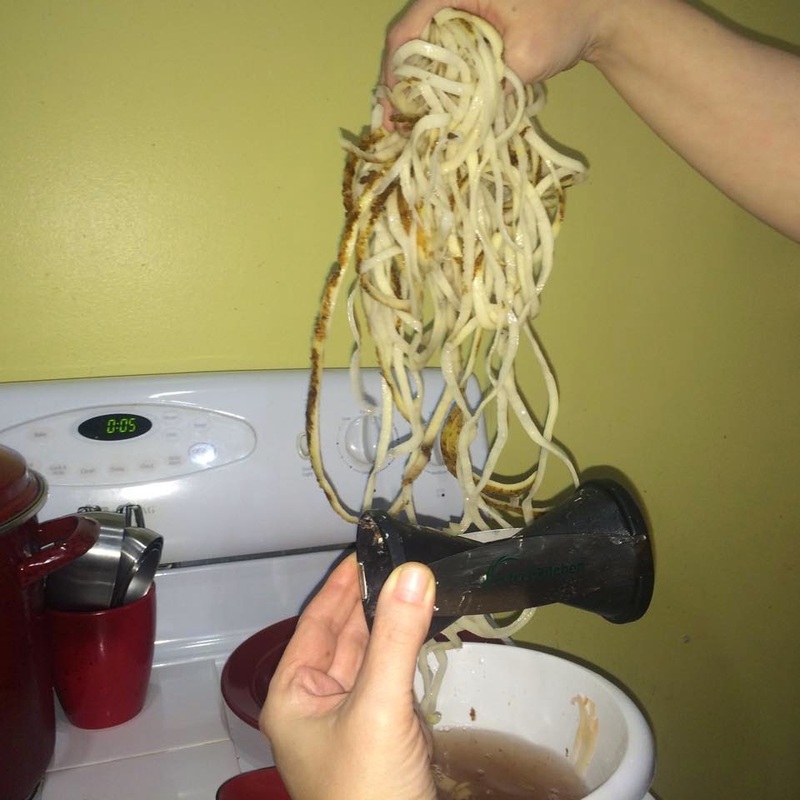 I spiralized potatoes to make curly fries, super easy to make, everyone loved them and they ate them all!